Winning Palermo once is the dream of every polo player; winning it six times consecutively seems like a utopia; lifting the most desired cup on the planet 12 times is almost crazy. La Dolfina did it after beating Las Monjitas, 17-12. “Cheaper by the Dozen” is a 2003 comedy in which Steve Martin—father of 12 children—tries to maintain normality while his wife embarks on a tour. 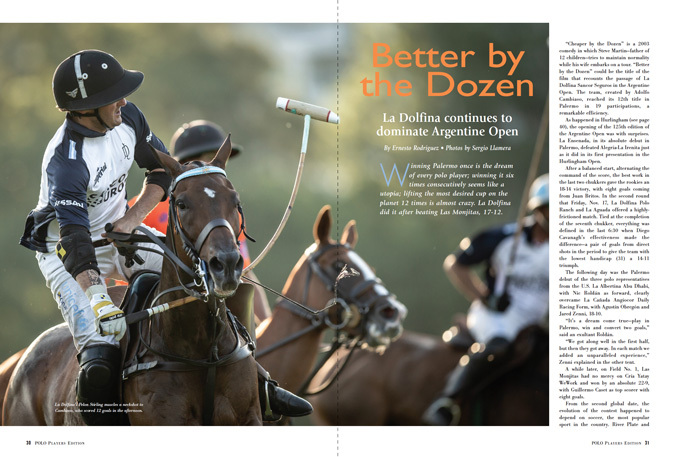 “Better by the Dozen” could be the title of the film that recounts the passage of La Dolfina Sancor Seguros in the Argentine Open. The team, created by Adolfo Cambiaso, reached its 12th title in Palermo in 19 participations, a remarkable efficiency. As happened in Hurlingham (see page 40), the opening of the 125th edition of the Argentine Open was with surprises. La Ensenada, in its absolute debut in Palermo, defeated Alegría-La Irenita just as it did in its first presentation in the Hurlingham Open. After a balanced start, alternating the command of the score, the best work in the last two chukkers gave the rookies an 18-14 victory, with eight goals coming from Juan Britos. 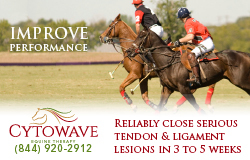 In the second round that Friday, Nov. 17, La Dolfina Polo Ranch and La Aguada offered a highlyfrictioned match. Tied at the completion of the seventh chukker, everything was defined in the last 6:30 when Diego Cavanagh’s effectiveness made the difference—a pair of goals from direct shots in the period to give the team with the lowest handicap (31) a 14-11 triumph. 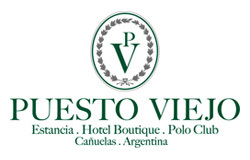 The following day was the Palermo debut of the three polo representatives from the U.S. La Albertina Abu Dhabi, with Nic Roldán as forward, clearly overcame La Cañada Angiocor Daily Racing Form, with Agustín Obregón and Jared Zenni, 18-10. “It’s a dream come true—play in Palermo, win and convert two goals,” said an exultant Roldán. “We got along well in the first half, but then they got away. In each match we added an unparalleled experience,” Zenni explained in the other tent. A while later, on Field No. 1, Las Monjitas had no mercy on Cría Yatay WeWork and won by an absolute 22-9, with Guillermo Caset as top scorer with eight goals. From the second global date, the evolution of the contest happened to depend on soccer, the most popular sport in the country. River Plate and Boca Juniors, the most popular teams in Argentina, played on Saturday, Nov. 24 for the Libertadores de América Cup (the South American version of the UEFA Champions League) in River Plate’s stadium, located just three miles away from Palermo. The complex safety plan forced the third and fourth Open dates to be moved to Tuesday, Nov. 20 and Wednesday, Nov. 21 and then postponed the fifth and sixth dates to Sunday, Nov. 25 and Monday, Nov. 26, forcing play during the week, something very unusual. The first half of the plan was fulfilled: La Aguada was rehabilitated from its initial setback and clearly beat La Ensenada, 18-10, despite losing Ignacio Novillo Astrada to injury after a fall in the fourth chukker, while La Dolfina Sancor Seguros—the defending champion with 40 goals of handicap—had to work hard to overcome LD Polo Ranch, 15-11, despite a ninegoal handicap difference between the quartets. Just 24 hours passed before Las Monjitas got its second win in the tournament after disposing La Cañada Angiocor Daily Racing Form, 16-5, with 10 goals made by Sapo Caset. Ellerstina Johor—the other team with a perfect 40-goal handicap—appeared in the Cathedral and did not have problems to beat Cría Yatay WeWork, 15-5, with seven conquests by Gonzalo Pieres. Episodes of violence in the soccer prematch— River Plate’s fans attacked the Boca team’s bus when it arrived at the stadium—forced the Copa Libertadores championship match initially to be suspended, before it was moved to Spain’s capital, Madrid, on Dec. 9. The change delayed the Argentine Open schedule, forcing officials to change the order of play. The sixth date was played on Monday, Nov. 26 as scheduled, but the fifth date was moved to Tuesday, Nov. 27. In Bracket B, Cría Yatay WeWork got its first win by downing La Cañada Angiocor Daily Racing Form, 17-7, with 10 goals from Ignacio Laprida, all from the penalty line with a 100 percent effectiveness. In the second round, Ellerstina Johor maintained the winning step with a wide 17-9 margin against La Albertina Abu Dhabi, with Pablo Pieres as top scorer with six. On the following day, Bracket A was completed. On Field No. 2, La Dolfina Polo Ranch achieved an impressive 12-10 success against La Ensenada, with a notable performance of the South African back Ignatius du Plessis, firm in defense and clever in attack (four goals). Then, on Field No. 1, La Dolfina Sancor Seguros drew notable differences against Alegría-La Irenita, winning 16-6. The match had one last extremely emotional chukker since the eight players disputing it played horses bred by La Irenita in honor of Jorge Mac Donough, who recently passed away. He is the father of La Dolfina’s Pablo Mac Donough and Alegría-La Irenita’s Matías Mac Donough. Another event unrelated to polo forced another change of schedule. The realization of the G20 Summit forced almost all public activities in Buenos Aires to be deferred between Friday, Nov. 30 and Sunday, Dec. 2. Therefore, play resumed on Monday, Dec. 3 with the fourth date of Bracket A. In the first turn, in Field No. 2, La Dolfina Sancor Seguros beat La Ensenada by a blunt 20-6. Later, in the Cathedral, La Aguada edged Alegría-La Irenita, 10-8, with half a dozen goals coming off the mallet of Alejandro Muzzio. Tuesday, Dec. 4 was the time for the Bracket B. On Field 2, Ellerstina Johor eliminated La Cañada Angiocor Daily Racing Form, 20-5, which closed its participation without any wins. And in the Cathedral, Las Monjitas remained unbeaten against La Albertina Abu Dhabi, with a 16-11 victory, taking full advantage of the departure of Ignacio Toccalino by a double yellow card between the close of the seventh chukker and the start of the eighth. La Dolfina Sancor Seguros secured its 14th consecutive ticket to the Palermo final after defeating La Aguada by a decisive 17-7 in the main match of the day of Saturday, Dec. 8. The key was the overwhelming start (6-0 in the first two chukkers) to confirm the strength of the team led by Adolfo Cambiaso, which since 2000 has only missed reaching the final of the highest tournament in the world once, in 2004. Earlier, on Field No. 2, La Dolfina Polo Ranch took advantage of a better closure and defeated Alegría-La Irenita, 18-13. The victory guaranteed LD Polo Ranch a place in the Triple Crown for 2019, while Alegría-La Irenita bid farewell to the Triple Crown without wins. Sunday, Dec. 9, was a day of strong emotions. In the first turn, Cría Yatay WeWork defeated Albertina Abu Dhabi by a tight 13-12 thanks to the great effort by Joaquin Pittaluga (7 goals) to secure a place in the 2019 Triple Crown. Then the Cathedral was left in shock and disbelief. Las Monjitas battled every minute and with the gutsy Hilario Ulloa as leader, managed to break the process in the sixth chukker (shutting the opponent out 3-0) to surprise and eliminate Ellerstina Johor, that was left out of the Palermo final for the second time in the last 12 editions. “We knew we could do it. If with Daily Racing Form we beat Adolfito and Facu in the U.S. Open, why can not we do it in Palermo,” Ulloa explained after the match. After a one-day delay, this time for rain fall in Buenos Aires, on Sunday, Dec. 16, everything was ready for an unpublished final. The teams had only played each other once before, in the semifinal of Hurlingham, with a 11-8 victory for La Dolfina. Las Monjitas went out to play without a complex, despite the fact that three of its players were playing the biggest match on earth for the first time, and during the initial two episodes dominated the procedure and the score, 6-3. In the third chukker, the unique Adolfito Cambiaso turned on the engines and equaled the match with three penalty conversions. From there, it was all for the Cañuelas (La Dolfina’s hometown) bulldozer, which was methodically taking advantage with the guidance of its No. 1, who finished the match with 12 goals. The superiority was such that the final bell came as a relief for both teams, sealing the ultimate contest, 17-12. Las Monjitas, the squad of the Colombian patron Camilo Bautista, concluded with the satisfaction of playing the most desired match in the world after eliminating a 40-goal team. La Dolfina got its sixth consecutive title in Palermo and the 12th in its history. “If someone told me that we would reach so many triumphs in 2000, when we presented ourselves for the first time, I would have said that it is crazy. But I get used to challenges and always want more. That’s why I do not know what the roof of this quartet is,” said Cambiaso, who in addition to that dozen titles with La Dolfina, raised the cup another three times with Ellerstina in the 1990s, being only five below the greatest winner of all time, Juan Carlos Harriott. Adolfito completed his personal harvest with the Lady Susan Townley Cup that clone Dolfina B09 Cuartetera received for being the best horse in the final.